Atmospheric mood lighting, spotlights, flickering lights and swathes of colour can be immensely effective in creating memorable events. Visual images tend to stay in the memory much longer than words, which is why it is crucial to get the lighting effects perfect from the very start of an event. Every type of event needs some form of lighting. Conferences and exhibitions can involve a wide range of lighting effects from individual display areas to massive rooms housing hundreds of people. Festivals, concerts and fashion shows may require complex synchronized lighting, while award ceremonies and product launches often involve a variety of lighting effects. Whatever the event, indoors or out, provision of lighting is no longer a simple matter of a few overhead or arc lights connected by cables. Lighting systems can be extremely powerful and require a lot of energy. It is all too easy for event organisers to feel overwhelmed by the potential options especially when it comes to deciding on equipment. This is where AV Productions can help. 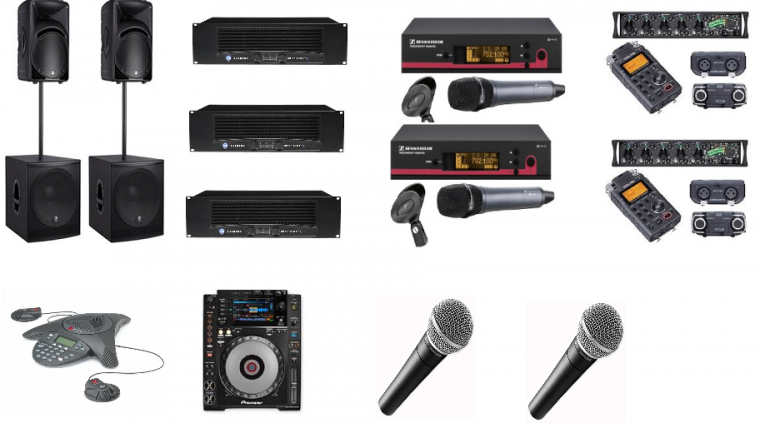 We have thousands of items of audio visual equipment within our warehouses, all of which is ready for immediate use. 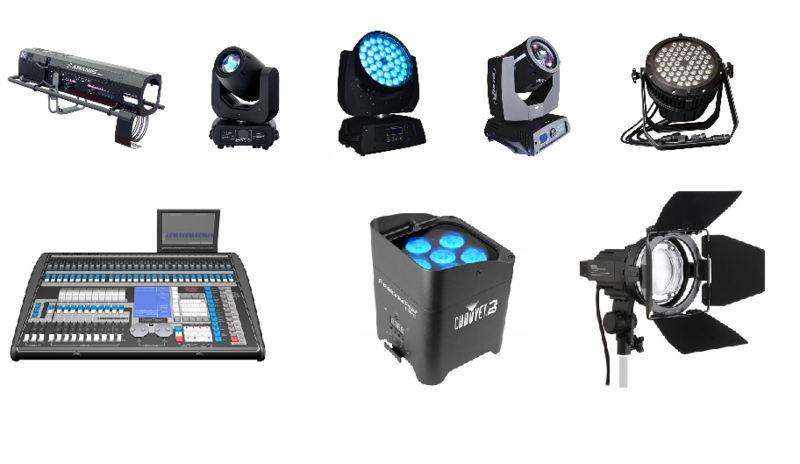 Among the most popular items provided are battery powered lighting, cables, radio cue lights, uplighters, LED lights, wireless lighting and Gobo projectors. Every piece of equipment is kept fully serviced and is checked before being sent out on hire. Full operating instructions are provided and we make sure that you are completely happy with the product before you leave our premises. If unexpected problems occur, our project managers are available to answer queries, advise and find solutions 24 hours a day, seven days a week. If you prefer someone to install, operate and take away the equipment afterwards, we can do that too. Our fully qualified Audio Visual engineers are available for hire. Audio Visual Productions are preferred suppliers at countless top locations including hotels, historic buildings, conference centres and exhibition venues. We possess full specifications for such sites, enabling us to provide instant advice and recommendations without having to inspect the building first. Whatever you require, we can provide it. We can hire individual pieces of equipment or provide a wide range of services including technical staff, event management and conference staging. Our staff await your call. 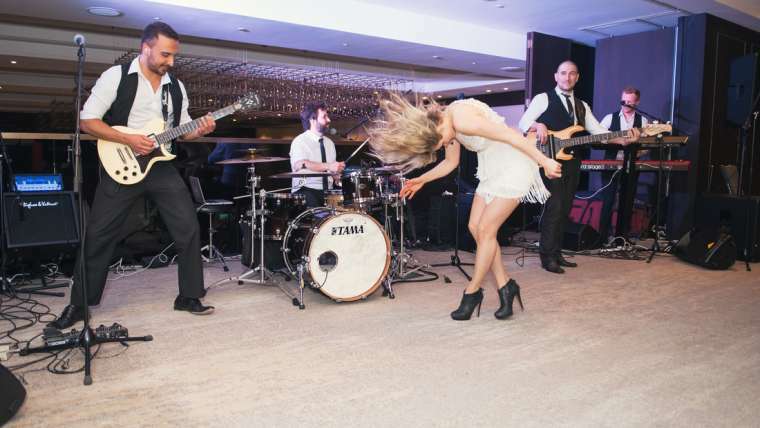 Talk to us now about your requirements for your next event and we will be happy to provide expert help.